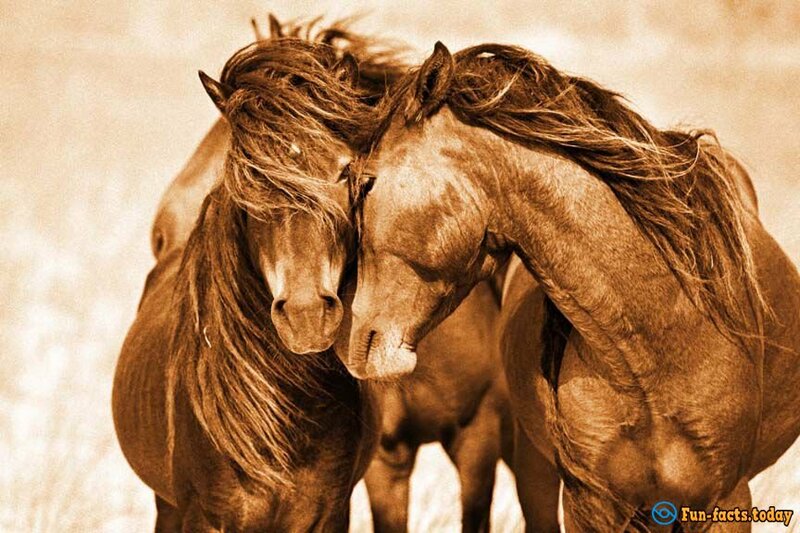 Hands down, horses are the most captivating mammals on planet Earth. They've got beauty, they've got grace and they've been vital in winning thousands of wars back in the Middle Ages. Nowadays most people buy horses just for fun (or for business), while others love riding them with their girlfriends and/or kids. Are you a fan of these amazing creatures? If you are, then you're more than welcome to check out the following interesting facts about horses. I promise - there's a lot of exciting stuff to learn about them! - Do you know what a "gelding" is? It's a male horse that was castrated (poor thing). By the way, the "fellas" are called stallions, while the "gals" are called mares. At the same time, a young male horse is known as a "colt" and a young female horse is called a filly. - Interesting fact about horses: Baby horses (the official name is "foals"; however, if a horse is more than 1 year old, you should call it a "pony) get "the hang of it" super quickly and can walk and run even if they were born just a couple of hours ago! Same goes for the giraffe babies. - Captive, or, rather, domesticated horses can live up to 25 years. Hey, did you know that the oldest tamed horse on official record lived as much as 62 years? That's true, and its name was Old Billy! 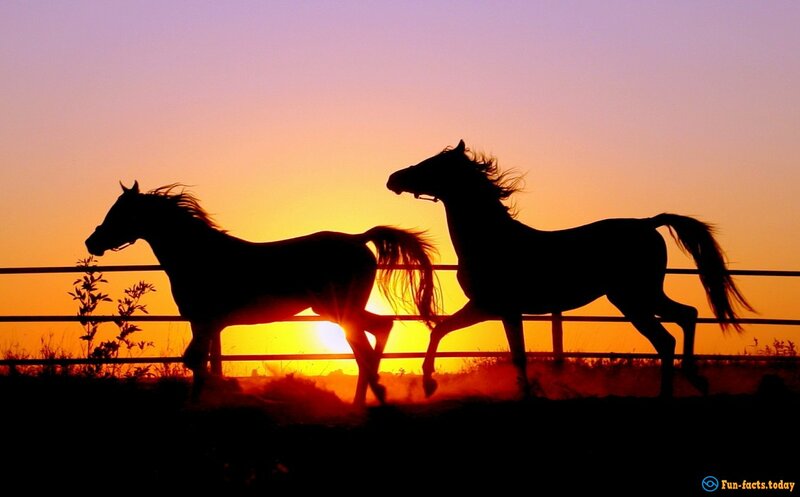 - Interesting fact about horses: There are 205 bones in the body of a horse. For example, we, the humans, have 206 bones in our bodies, so, that's pretty awesome, huh? - Just like elephants, giraffes, camels and other mammals, horses tend to fall asleep while standing up, so, don't just assume that it's awake if you see it standing strong on all 4 feet. 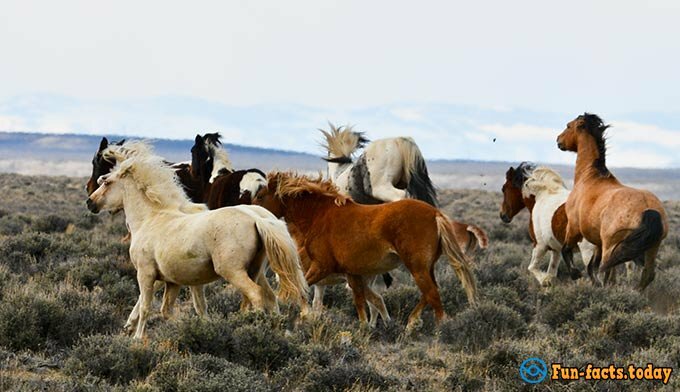 Oh, and if you take some time and "stalk" a group of horses, you'll see that they never go to sleep all at the same time, meaning at least one member of the group stays on the lookout. - You've seen a lot of pictures of horses smiling and even laughing, right? Well, don't be fooled, my friends - they don't smile/laugh, they just move their muscles like that to smell things better :). 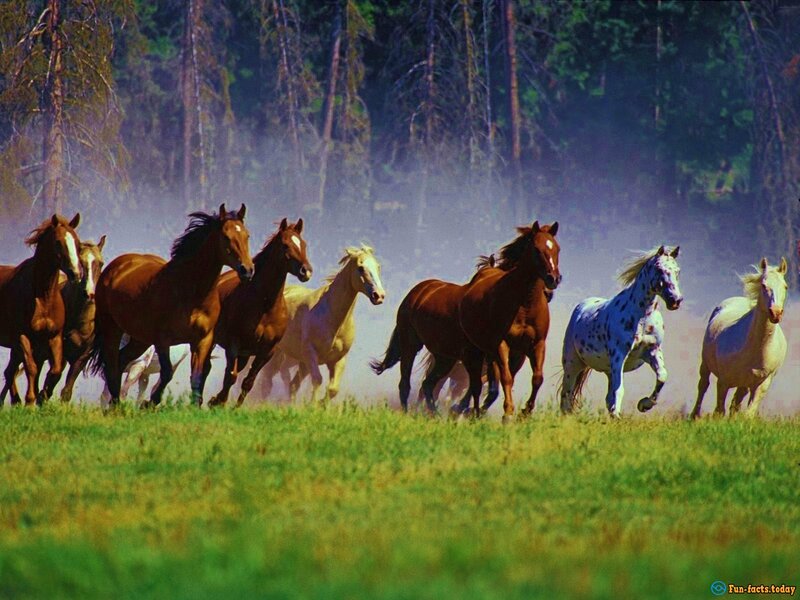 - Horses only eat plants, they are around 60 million (!) 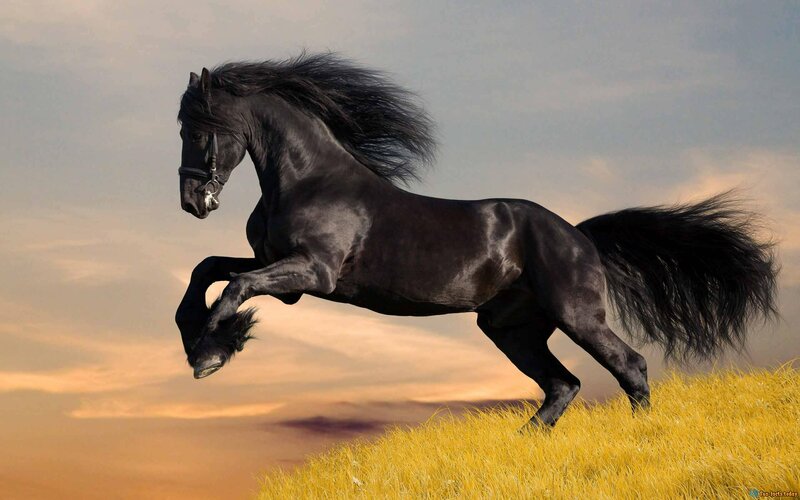 of these creatures on planet Earth and they can reach a top speed of 25-28MPH (the fastest horse on record could run as fast as 55 miles per hour). - More interesting facts about horses: The eyes of a horse are "positioned" in such a clever way that they can see 360 degrees around them! People used to think that these creatures are color-blind, but that statement turned out to be false. They do, however, see some colors a lot clearer than others. When a horse gallops, all 4 hooves are in the air at one point, so, you could say it's jumping, not running. - Horses never vomit, they have tiny brains and huge teeth (they take up more space then the brains). Plus, there are around 300 different horse species (or, rather, breeds) in the world. - These animals really love water and can (and do) drink more than 25 gallons every day. Naturally, in warmer regions they drink even more. - Horses and zebras are known to mate - the resulting creature from this crossbreeding is called a "zebroid". - One final fun fact about horses: Even though it's illegal in many countries to eat horse meat, some folks, including the French, really love eating horse brains and hearts! :).